Who said your desk lamp have to be plain and simple? 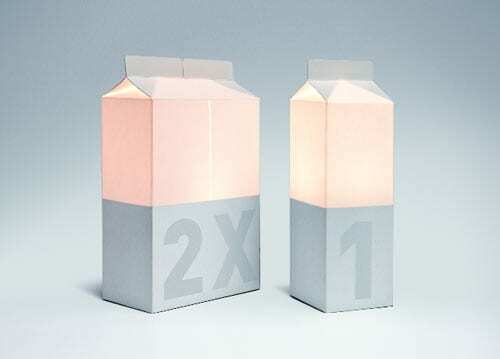 That’s the question designer Marus van der Made seems to ask us while proposing us the Milk Carton Lamps. The lamps in the image below are 1 Half Full and 2x Half Full and they are, obviously, filled with light; LED light to be more precise. Now if you love lamps and you’re always shopping for them then you’ll be able to order these new Milk Carton Lamps for 99 and 129 Euros, respectively, so go get your cash ready and make some room for them. Where will you display the Carton Lamps? In the kitchen or anywhere else?